In remarks made at a secret Koch donor conference and leaked to The Nation, the Senate minority leader doubles down on obstructionism and crony capitalism. 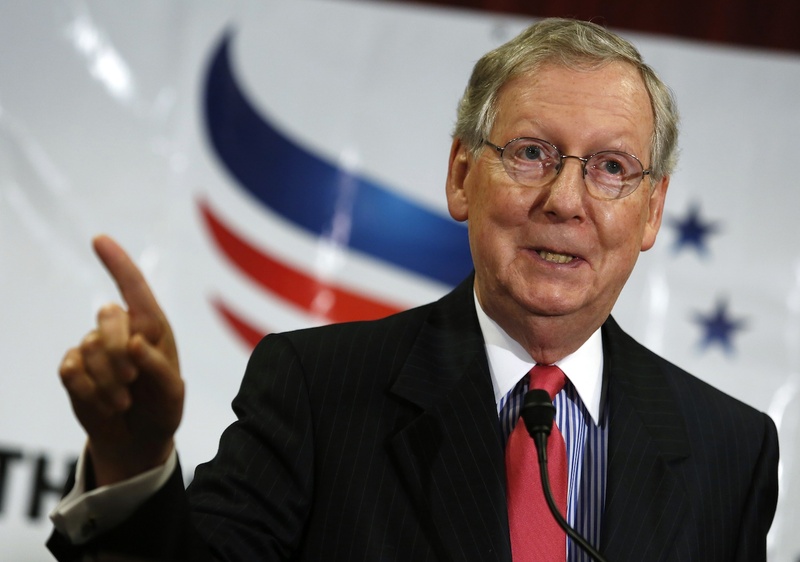 Many political bookies have tipped the Republican Party to win the Senate in November. This scenario raises a vexing question: Just what will Mitch McConnell do if, instead of opposing and undermining, he must actually govern? In late August, The Nation and the YouTube channel The Undercurrent released an audiotape of McConnell addressing a private strategy session of millionaire and billionaire Republican donors convened in June by the notorious Koch brothers. His comments there, which some have compared to Mitt Romney’s “47 percent” gaffe, are revealing. McConnell begins by paying tribute to his patrons, thanking the Kochs “for the important work you’re doing” and for “rallying…to the cause.” What is this cause? Putting Americans to work? Rebuilding the middle class? Unleashing free-market answers to catastrophic climate change? Warren went to Kentucky to campaign for Democrat Alison Lundergan Grimes, who is running neck and neck with McConnell, among the most vulnerable GOP incumbents. Partly because of the donations marshaled by the Kochs and their allies, spending in the race may exceed $100 million, which would make it the most expensive Senate race in history. McConnell ended his talk by repeating the Republican mantra against taxes and regulation: “If we want to get the country going again, we need to quit doing what we’ve been doing. Was it Einstein that said the definition of insanity is doing the same thing over and over again expecting a different result?” Let’s hope the voters of Kentucky come to the same conclusion about re-electing a senator who represents the Koch brothers far more faithfully than the Kentuckians he was elected to serve.